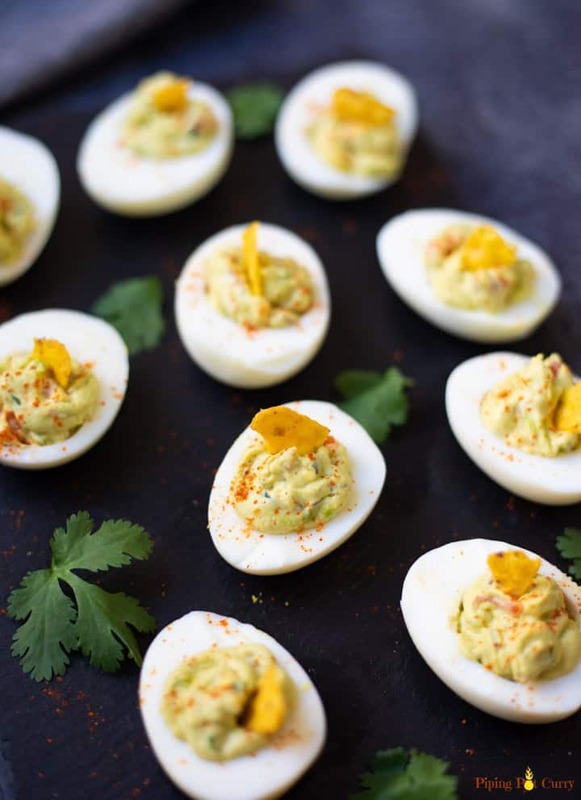 Guacamole Deviled Eggs are a healthy twist to the traditional deviled eggs. 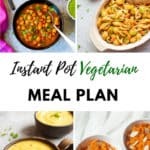 Made with the healthy guacamole ingredients such as avocado, onions, tomatoes, jalapeños, cilantro and lime juice, they are perfect for any diet. 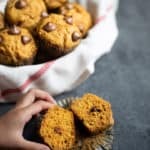 Enjoy as a snack or serve as an appetizer for your next gathering! The idea of avocado filled deviled eggs is absolutely brilliant. We don’t want to have all the egg yolks and love avocados, then why not make guacamole and fill in the deviled eggs. The spicy jalapeños make the “deviled” part in this recipe. Avocados are already creamy (did you know they are called butter fruit in India? ), which means you don’t need any mayonnaise. These avocado deviled eggs are delicious, and have a lovely green color! 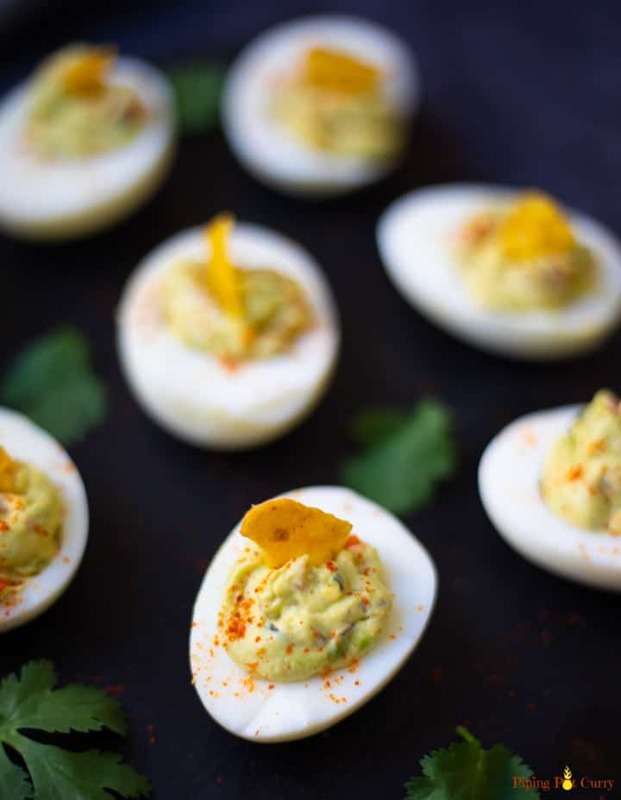 These Guacamole Deviled Eggs are perfect for Game Day, Cinco de Mayo, St Patrick’s day and of course Easter! Deviled eggs, also known as stuffed eggs, Russian eggs, or dressed eggs, are hard-boiled eggs that have been shelled, cut in half, and filled with a paste made from the egg yolks mixed with other ingredients such as mayonnaise and mustard. They are called deviled eggs because in the 18th century, the term “deviled” came to be used in reference to spicy or zesty food. They are generally served cold as a side dish, appetizer or a main course, often for holidays or parties. We are customizing the traditional deviled eggs to make then healthy with the addition of avocado to make Guacamole Deviled Eggs. 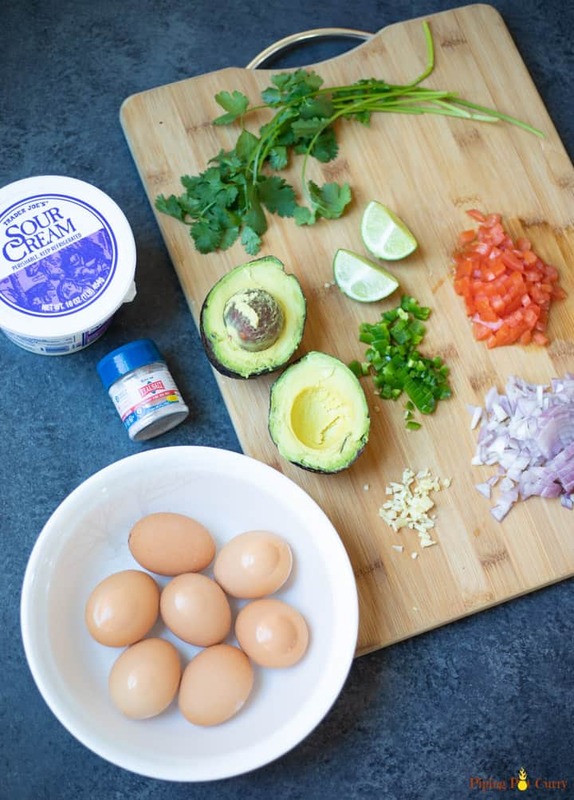 How To Make Guacamole Deviled Eggs? 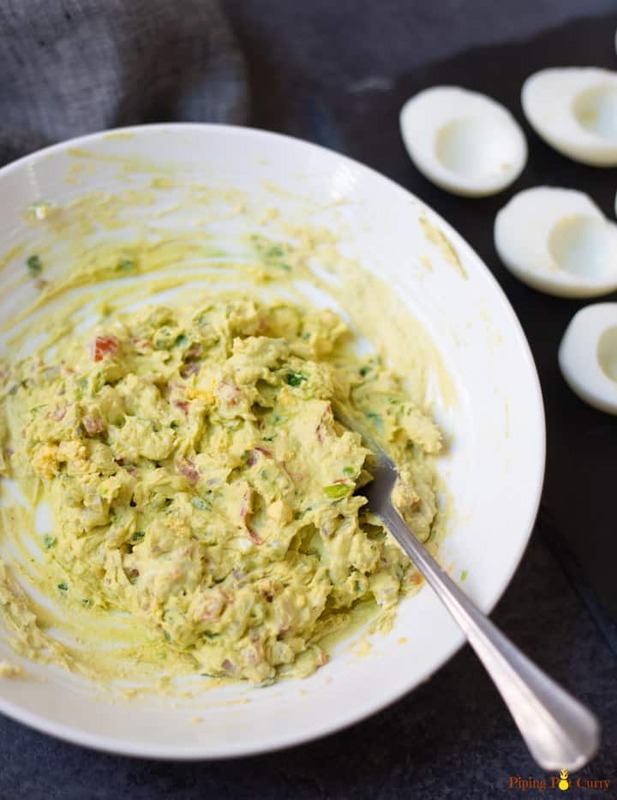 These Guacamole Deviled Eggs are made without any mayo. They are healthy with the use of avocados and other ingredients to make guacamole. 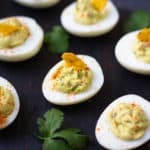 This makes this a keto low carb deviled eggs recipe. To start off, boil the eggs. My favorite way to boil eggs is using the pressure cooker (or instant pot). They cook perfectly and can be peeled easily. 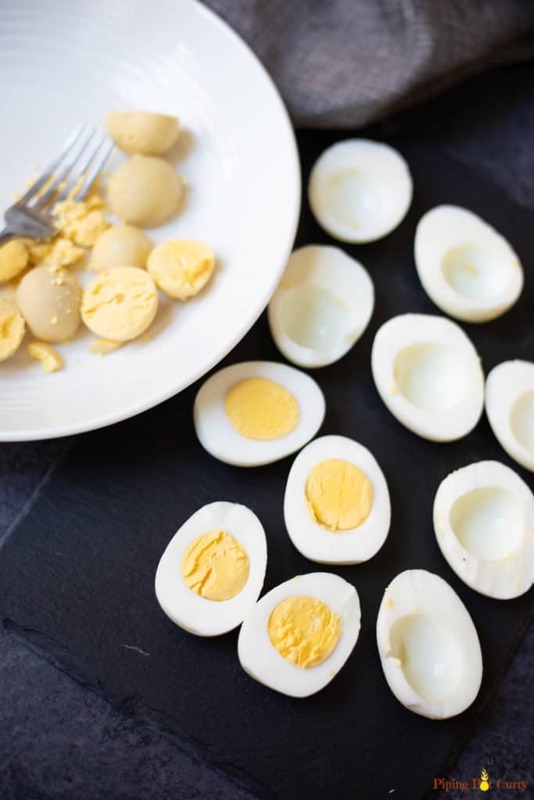 Check out the recipe for perfect boiled eggs in the instant pot. You can also cook them on the stovetop. Check the stovetop boiled eggs recipe. I like to always gather all the ingredients and have them ready before starting to make a dish. Carefully peel the eggs, and slice then in half. Spoon out the egg yolks in a bowl. Place the egg whites onto a clean dry plate or platter. As we are adding avocado, you can use half of the egg yolks in the filling. 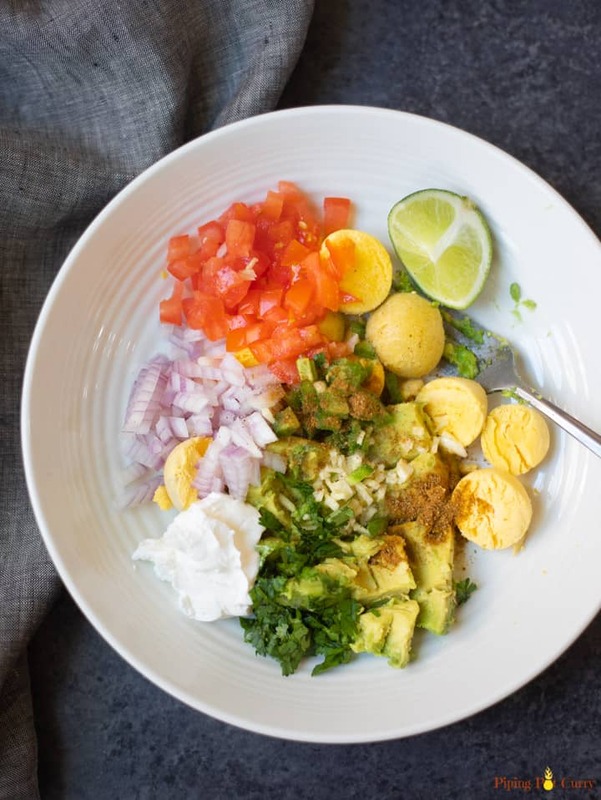 Or if you like skip the yolks all together and increase the amount of avocados. Cut the avocados in half. Remove the pit. Scoop out the avocado flesh and place in the bowl. Mix the red onion, tomato, cilantro, sour cream, garlic, cumin, lime juice, and salt. Mash to make a smooth filling. Adding the lime juice which helps add the tanginess and also saves the avocados from browning. Mash and mix the filling. 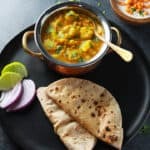 It is best to make this filling just before you’re ready to serve. Oh…and if you have any leftover filling, spread it on toast for a wonderful breakfast! Use a small ice cream scoop to fill the egg whites. Alternatively, use a piping bag to pipe the filling into the egg whites. Make sure the pipe attachment that is large, so the onions and tomatoes can pass (also, dice them well). I used a ziplock bag and cut the top to add the filling. Sprinkle each deviled egg with paprika. For garnish, I added a small piece of tortilla chip to each of the eggs. That is all, this wonderful appetizer is ready to enjoy! Usually you can make the traditional deviled eggs one day before. However as we are using avocados in this recipe, I do not recommend making these guacamole deviled eggs ahead of time. You can boil the eggs ahead of time (1-2 days before). But prepare the filling and fill into the egg halves in the day right before serving. 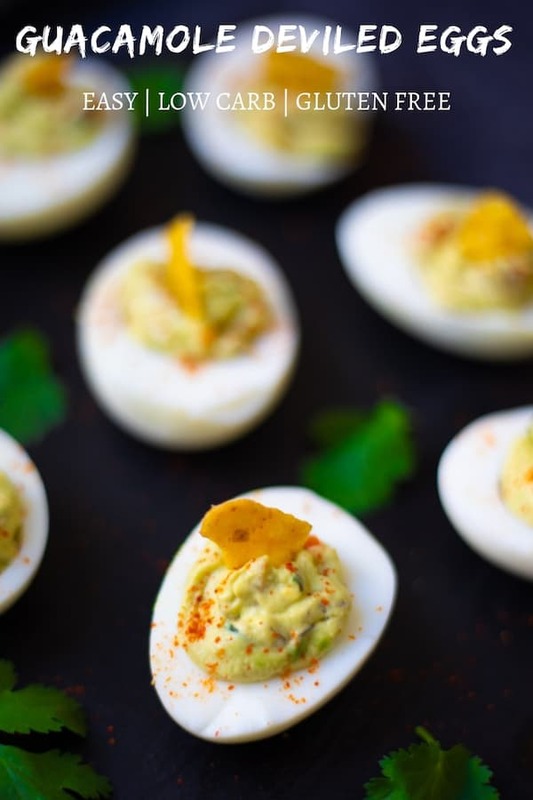 Enjoy these Guacamole Deviled Eggs a snack or serve as an appetizer for your next gathering! 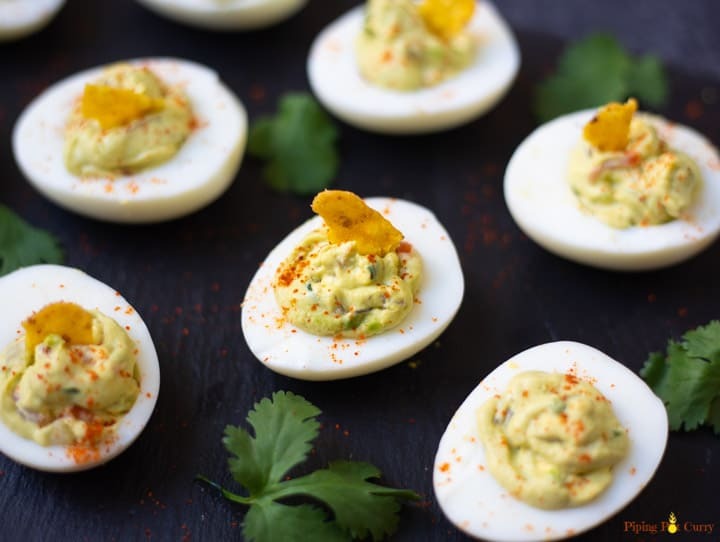 Guacamole Deviled Eggs are a healthy twist to the traditional deviled eggs. 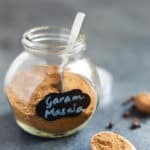 Enjoy as a snack or serve as an appetizer for your next gathering! Peel/Slice the Eggs: Carefully peel the eggs, and slice then in half lengthwise. Spoon out the egg yolks in a bowl. Place the egg whites onto a clean dry plate or platter. 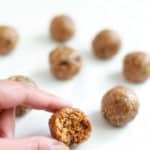 Make the filling: Remove half of the egg yolks and reserve for another use. Cut the avocados in half. Remove the pit. Scoop out the avocado flesh and place in the bowl. Mix the red onion, tomato, cilantro, sour cream, garlic, cumin, lime juice, and salt. Mash to make a smooth filling. Fill the eggs: Use a small ice cream scoop to fill the egg whites. Alternatively, use a piping bag to pipe the filling into the egg whites. Garnish the eggs: Sprinkle each deviled egg with paprika. (optional) Add a small piece of tortilla chip to each of the eggs. 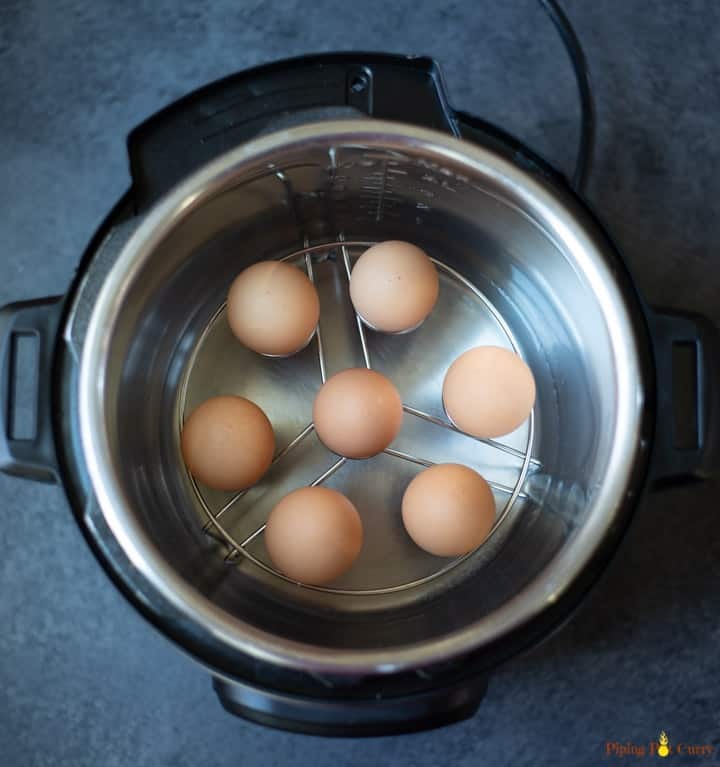 Boiling eggs: Boil the eggs on the stovetop or in the instant pot. My preferred method is instant pot for perfect easy-peel boiled eggs. Tip: For a pro look, scoop the guacamole into a piping bag or ziploc bag. Use scissors to carefully snip a side corner and squeeze guac through the corner.